For me, it was the key thing that helped break through my plateau/rut i was in. I had the training down pat, but was letting myself down food wise, and it’s not until I started writing everything down that I had results. I found that having a physical diary helped moreso then myfitness pal or other online tools, as I just wouldn’t be strict about updating them until the end of the day, and that’s not how it works. It helps it’s a nice looking journal, that I carry around. And I love that it’s a TRAINING and nutrition journal, has inspirational quotes, and a calories and notes section in the beack. Basically I love it! And best of all the lovely people at Peter Pauper have allowed me to give one away to help you with your own fitness and health journal. Added to http://bloggiveawaydirectory.com/ check it out for more great giveaways. I am as we speak eating a home made “LCM Bar”……..consists of rice crispies and melted marshmallows!!!! AND wearing work out gear. Can not quite get the balance and this sounds great in terms of keeping track of my diet and training (I mostly work out at home while my baby sleeps) and it’s hard to keep track of minutes, intensity or reps while trying to keep one ear to the door and keeping myself motivated. Sounds yummy Emma! Thanks for following and entering and good luck! 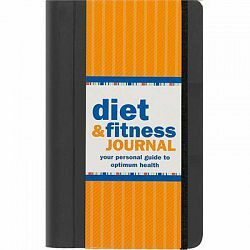 The diary is great for tracking workouts and training, has lots of spaces to add details, weights, sets, reps etc. Thanks for following, I’ve reciprocated. Good luck! I have been trying to lose weight mostly through diet since I injured myself doing a workout….The calorie counter would be really very useful. It is soooo helpful Shari. Good luck! I follow via email at ilovepool28@gmail.com. I would love to win this because I think paper workout journals can be a little more reliable than electronic ones. I think having a paper journal has been key for me, I totally agree, thanks for entering Dani – good luck! Reblogged this on Eatmoveachieve's Blog. hi there i follow you via email and i want to win because i just turned 40 2 months ago,and in the last year i gained 20 lbs. i need to started wating what i eat and i think this would be a huge help for me. thanks for this great chance!!! Please see today’s post for winner announcements.